Enabling the safe and efficient deployment of the CO2 Capture and Storage (CCS) technology. CO2GeoNet was invited to an international CCUS roundtable to share CO2GeoNet experience in knowledge sharing activities. 13 - 14 February 2019 in Washington, D.C.
CO2GeoNet in the organizing group of the International Scientific Diving Summer School, hosted at the ECCSEL NatLab Italy in Panarea (Eolian Islands). CO2GeoNet is contributing to side-events and a booth at COP24. CGS Europe is a project funded within the 7th Framework Programme of the European Community for research, technological development and demonstration activities. CGS Europe pools together the expertise of the key research institutes in the area of CO2 geological storage in European Member States and Associated Countries. It sets up coordination and integration mechanisms between the CO2GeoNet Association - the European Network of Excellence on the Geological Storage of CO2 - and 23 other participants, thus covering most of Europe with 24 EU Member States and 4 Associated Countries. CGS Europe provides an independent platform and reference source where national, European and international experts, institutes and regulators are able to access the most up-to-date results of CO2 storage-related studies, share experiences and good practices, discuss the implementation of regulations, identify research needs to face upcoming challenges, and build new projects. CO2CARE aims to support the large scale demonstration of CCS technology by addressing the research requirements of CO2 storage site abandonment. It delivers technologies and procedures for abandonment and post-closure safety, satisfying the regulatory requirements for transfer of responsibility. risk management methodologies for long-term safety. Objectives are achieved via integrated laboratory research, field experiments and state-of-the-art numerical modelling, supported by literature review and data from a rich portfolio of real storage sites, covering a wide range of geological and geographical settings. CO2CARE aim is to develop plugging techniques to ensure long-term well integrity; study the factors critical to long-term site safety; develop monitoring methods for leakage detection; investigate and develop remediation technologies. Predictive modelling approaches are assessed for their ability to help define acceptance criteria. Risk management procedures and tools to assess post-closure system performance are developed. Integrating these, the technical criteria necessary to assess whether a site meets the high level requirements for transfer of responsibility defined by the EU Directive is established. The technologies developed are implemented at the Ketzin site and dry-run applications for site abandonment are developed for hypothetical closure scenarios at Sleipner and K12-B. Participation of partners from the US, Canada, Japan and Australia and data obtained from current and closed sites add to the field monitoring database and place the results of CO2CARE in a world-wide perspective. Research findings are presented as best-practice guidelines. Dissemination strategy consists in delivering results to a wide range of international stakeholders and the general public. 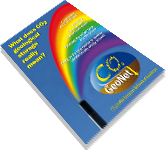 CO2StoP is the acronym for the “CO2 Storage Potential in Europe.” project. The CO2StoP project, which started in January 2012 and ended in December 2013, was funded by the European Commission (Project N°: ENER/C1/154-2011-SI2.611598). The project covered data from 27 countries1. The results of the study are provided as a database of CO2 storage locations throughout Europe, a Data Analysis/Interrogation Tool and GIS, and a tool to compute storage capacities and injection rates (StoreFit). The database is now housed by the Joint Research Centre - European Commission, Petten, the Netherlands (http://iet.jrc.ec.europa.eu/ ). The calculations made in CO2StoP from the current project database of CO2 storage locations throughout Europe paint a broad picture, but also identify the gaps in our knowledge. These gaps must be filled by further data entry, and, potentially, new geological studies, seismic surveys and drilling to make more precise data available. It is critically important to understand the assumptions that lie at the basis of the storage capacity estimates entered in the database. These are especially relevant for saline formations, the capacities of which were derived without taking into account regulatory or economic limitations. The CO2StoP methodology has made significant progress towards establishing probabilistic estimates of the CO2 storage resource in Europe in a way that will allow comparisons with other regions of the world to be made, and which will also be useful to policy makers. However, the partial data entry into the project database does make clear that the current project marks the beginning of the process of resource estimation, and certainly not the end. With this selection of study sites, each at a different operative stage, ECO2 will cover the major geological settings to be used for the storage of CO2 including depleted oil and gas reservoirs (B3 field site, 80 m water depth), saline aquifers located at the continental shelf (Sleipner, 90 m water depth), and the upper continental slope (Snøhvit, 330 m water depth, see section B1.3 for more detailed information on study areas). In response to the call, we have developed five key objectives for ECO2. The objective of ECO-BASE (sponsored by ACT ERA Net Co-fund) is to develop detailed and integrated roadmaps for CCUS(carbon capture, utilisation and storage) based on EORStore concept, where EOR (enhanced oil recovery) is co-optimised with permanent storage. The project is focusing around three South-East European countries (Romania, Turkey and Greece) with support from Norway and the Netherlands. The roadmaps will be based on available data on sources and sinks and supported by state of the art optimization engineering and economic/tax modelling. The project will analyse several emitter to end-user value chains and prospective revenue streams in Southern-East Europe by providing roadmaps as preparation for pilot applications, thereby lifting the storage and utilization components of the CCUS value chain in SEE to TRL 4-5. The resulting roadmaps will include the way forward on technical, legal, economic and public levels for CCUS in general and to EORStore specifically. The cases will also serve as an example for Europe-wide application of CCUS. The ENOS (ENabling ONshore CO2 storage in Europe) project, coordinated by BRGM (France), was launched at the end of 2016 and will last for four years. It unites 29 organisations across 17 countries, and is financed by the European Union’s H2020 programme with a budget of 12.5 M€ as well as partners’ own funds. It is an initiative of CO2GeoNet, the European Network of Excellence on the geological storage of CO2 (www.co2geonet.com). Eight of its members are involved in this project, namely: BRGM, BGR, CGS, CIUDEN, IRIS, OGS, TNO and UNIROMA La Sapienza. The main objective of GeoCapacity is to Assess the European Capacity for Geological Storage of Carbon Dioxide. The project has included full assessments of a number hitherto not covered countries, and updates of previously covered territory. Also a priority is the further development of innovative methods for capacity assessment, economic modelling and site selection criteria. Finally, an important mission is to initiate scientific collaboration with China and possibly other CSLF members. The GeoCapacity project has comprised all or parts of the sedimentary basins suitable for geological storage of CO2 and located within the EU and the Central and Eastern European new member states and candidate countries. In areas, which were part of the GESTCO project completed in 2003, the work has included only supplementary updates. The project is co-funded by the EU within FP6 - the 6th Framework Programme of the European Community for Research, Technological Development and demonstration activities, contributing to the creation of the European Research Area and to innovation (2002 to 2006). RISCS is a European project which aims to improve our understanding of the possible environmental impacts of geological storage of CO2. There are 24 organisations participating in RISCS including research institutions, industry environmental associations and the International Energy Agency Greenhouse Gas R & D Programme. The project is designed to study a wide range of potential impacts, thus providing tools for developing appropriate legislation and helping to ensure the safe management of CO2 storage sites. RISCS is a 4- year, EU and industry sponsored project, with focus on the potential environmental impacts that might be associated with CO2 leakage from a storage site, even if such leakage is very unlikely. The project provides the essential research, through field work and the development and validation of appropriate models, to underpin frameworks for the safe management of CO2 storage sites. Research within the project is focused on understanding the potential likelihoods and consequences of impacts scenarios on key receptors such as human populations, ecosystems, and groundwater. A representative set of reference scenarios, encompassing the main types of impacts to living organisms that could be present, are investigated. This covers a range of CO2 storage options , both onshore and offshore, in a variety of geographical settings. RISCS aim is to communicate the research and the outcomes in an accessible way to stakeholders and the public. A key output of the project (and other related research) is a ‘Guide for Impact Appraisal’, developed in consultation with stakeholders. The three-year European SiteChar project (FP7), dedicated to set the criteria for characterisation of sites for geological storage of CO2, was launched in January 2011. SiteChar has examined the whole site characterisation process integrating site characterisation, risk assessment and development of monitoring plans. The workflow has been tested at a range of onshore and offshore, saline aquifers and depleted hydrocarbon reservoirs, representative of various geological contexts and located across Europe. Detailed evaluation of site-specific techno-economic factors and injection strategies have been performed. Social site characterisation and public engagement activities have also been conducted. A key innovation is the development of dry-run licence applications. By advancing a portfolio of sites to a (near-) completed feasibility stage, developing a methodology for the preparation of license applications, incorporating all the technical and economic data, as well as societal aspects, SiteChar has provided a valuable tool for the roll- out of geological storage on an industrial scale in Europe. Coordinated by IFP Energies nouvelles, SiteChar gathers another sixteen partners from research, industry, and consultancy sector, from ten EU countries: AGH, BGS, ECN, ENEL, GEUS, GFZ, IMPERIAL, OGS, PGNiG, SINTEF-PR, Statoil, TNO, UfU, UniRoma1-CERI, Vattenfall and the Scottish Government. SiteChar is has been also supported by Veolia Environnement. ULTimateCO2, a four-year collaborative project financed by the 7th Framework Programme and coordinated by BRGM, aims to shed more light on the long-term processes associated with the geological storage of CO2. ULTimateCO2 unites 12 partners (research institutes, universities, industrialists) and a varied panel of experts (NGOs, national authority representatives, IEAGHG, ….). Based on a multidisciplinary approach, and bringing together laboratory experiments, numerical modelling and natural analogue field studies, ULTimateCO2 will increase our understanding of the long-term effects of CO2 Capture and Storage (CCS) in terms of hydrodynamics, geochemistry, mechanics of the storage formations and their vicinity. Reservoir: All processes of multiphase flow and associated geochemical reactivity are studied through laboratory experiments and digital modelling in order to assess CO2 trapping mechanisms (structural, dissolution, residual, mineral), based on both hypothetical and real data. Caprock: A shaly caprock, potentially faulted or fractured, is studied in detail based on i) previous data on gas reservoirs in the North Sea that have shown leakage, ii) laboratory tests on shale cores altered by geochemical acidification, and iii) numerical modelling coupling geochemical alteration of shale and behaviour mechanics. Wellbore: The wellbore vicinity is a crucial zone for possible leakage compromising the long term efficiency and safety of a storage site. The project is undertaking a true scale experiment in the underground rock laboratory of Mont Terri in Switzerland to reproduce conditions of a well bottom in contact with brine acidified by dissolved CO2 during one year, with fluid sampling and continuous monitoring of permeability of the shale-cement-casing interface. Overcoring and extraction of the entire system will then enable detailed identification of any potential leakage paths and geochemical interactions of the interfaces.